Cellphone operators think nothing of playing fast and loose with the accounts of their customers. They allow random businesses to deduct money from these accounts without ever informing the customer or obtaining permission from the customer. It's called fraud; if not downright theft. Recently Noseweek reported on MTN's efforts to stop a particularly large scale version of this problem, but only because their call centre was overloaded with complaints. "... MTN call centres and stores had been flooded by thousands of subscribers complaining that they had never requested any content from T Mobile, so the company had decided to undertake an internal audit - which had revealed that the content provider had, in the space of 10 days, sent out debit requests worth more than R500,000." What puzzles me is why MTN would hand over the money in the first place. Did they guarantee payment up front with no questions asked? Are they that stupid? Last week my airtime suddenly vanished, and when I called MTN to find out why, I was told of two deductions from my account on 5th and 7th June. I had not authorised anyone to deduct anything. The call centre told me the money had been deducted by "Opera Telecom" and when I called them on 083-916-3089 they said they were unable to provide me with a refund. This is a violation of the WASPA code of conduct. Today I tried a different approach, which seems to be working. I called Opera's other number, 084-194-2222 and asked for the name of the MD. It turns out his name is Trevor Louw but the company got somewhat alarmed when I asked for his ID number. Why did I need that? I explained that I needed it for the case of fraud I planned to file at the police station. I explained that since they had deducted the money from my account, and had refused to provide a refund, I was now taking the matter further. They told me that they had done the deduction on behalf of Morvec Ltd, a company whose South African landline number 011-461-3294 is out of service, their postal address is in Hong Kong and their email contact address is in the UK. I told Opera that I wasn't prepared to wait for them to get the refund from Morvec (good luck with that) before they pass it on to me. They could refund me today, since they had made the deduction, and then obtain the refund from Morvec later. After chatting to the MTN call centre again, I was told there is a "parental control" service that you can access by dialling *101# from an MTN phone. This allows you to block "Adult" content, "Gambling" and "Instant Messaging" services. It only blocks web access to these services. I also find it kind of insulting that they would call it "Parental" control when all I'm trying to do is protect my phone account from MTN's arrogance. Their billing system is the child out of control, not me. It doesn't even add correctly. Nonetheless it's a start, albeit a pretty feeble one. Vodacom has something similar. What really burns me about these services is that they send unsolicited MMS messages to my phone. Since my phone isn't configured for MMS, how do they suppose I signed up for this service? When a MMS message comes to my phone, I get a notification to go to a particular URL to read the message. I just delete the notification. Now MTN's billing system says I "subscribed" via GPRS. That would require me to enter my cell phone number, which I did not do. In fact, I didn't even use GPRS on that day. MTN assumes that their customers are dumb enough to subscribe to these services. Maybe some are, but I'm not one of them. Now I am awaiting a call from Monwabisi Mabude, the account manager who just may be able to sort this out at MTN. Update 4.30pm: I got to speak to Trevor Louw at Opera Interactive, who vacillated between being smug, officious and helpful. His company does the billing on behalf of scum like Morvec, and Opera's business ethics are such that they do NOT have a Do Not Contact list. Nonetheless he assures me that they are taking my complaint seriously and they are waiting for "proof" from Morvec that I signed up. How do I prove that I didn't sign up, or that I didn't receive anything from them to confirm my subscription? I have a growing suspicion that they will say that they sent me a message telling me that I should OPT OUT if I don't want to subscribe, which is illegal. Update Fri 17th: Opera Interactive have sent me a R30 "goodwill" airtime refund, in spite of Morvec's "proof" that I "visited a WAP website" on 23/5/2011 at midnight. Funny, I was asleep at the time. I checked the "Sent Items" on my phone and have send nothing between 16h26 on 21/05 and 9am on 23/05. So the confirmation SMS that Morvec should have sent wasn't sent. And I certainly didn't reply to one. And Opera have confirmed that they have added me to their "Do Not Contact" list. The one they said they don't have. 11.3.1. If a subscription service is initiated by entering a customer's mobile number on a web page or WAP site, then a separate confirmation message must be sent to the customer's mobile handset in order to prove that the number entered matches the customer's mobile handset number. This seems to still be alive and well, had a similar thing happen to me today. 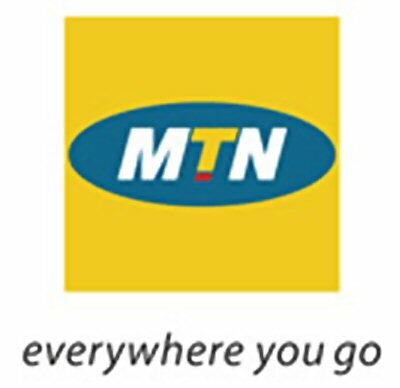 Why would MTN allow this unless they were making money out of it? If Cell C is deducting money from your account on their behalf, they have to beable to provide you with the correct contact number for the subscription service. okay can anyone please tell me what this Pink Tube subscription is I just received a sms telling me I have subscribed to them "Reminder: you are subscribed to Pink Tube Subscription Service. Cost R9,99/day. for Help call 0114613294(VAS). To unsubscribe SMS STOP to 31894." What the hell is Pink Tube??? ?